We have optons for different budgets! Take a look at some of Great Specials to get your countertops for less that you may think. 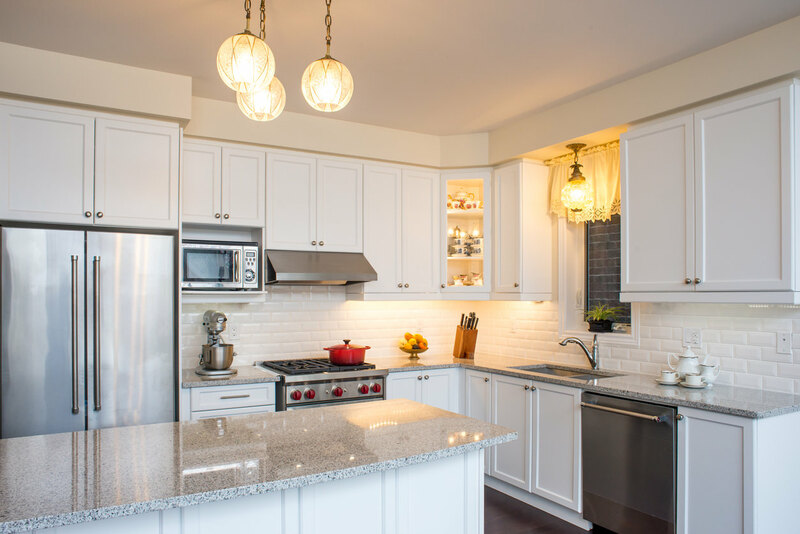 We work with a Team committed to delivering high quality countertops every time. Take a look at some of our Awards, Credentials and Testimonials below. Before contacting AGS Granite, we stopped by Lowes and Home Depot to get a quote for replacing our countertops in our kitchen. Their quotes were well above 5k and did not include a sink replacement. When we searched on Angie’s List we were excited to see that AGS Granite was not only significantly less that the ones quoted to us at the stores, but they had an additional discounted offer just for using Angie’s List. Jason and his team were very pleasant to work with and we would definitely recommend them to anyone who would like to replace their countertops! Our before and after pictures are amazing!!!! Jason provided a competitive estimate to perform the work and also provided us with how the process would work. He met us at the granite sales office where he helped us select the best quality stone for our price range. He kept us informed of the price and to the progress of fabrication. He never missed a date and during the install was present to oversee the crew. Jason is the Owner of the company and takes great pride in his installs and that is carried down to his crews. He used his experience to give us some new ideas on what we wanted as well as helped keep us from making typical mistakes. We will be using AGS again to replace our master bath vanity and are looking forward to another positive business experience. use them in the future. These guys were great. Awesome customer service and attention to detail. I mentioned we had new floors and they really were careful not to scuff them up. They did demo and granite replace of kitchen counters, buffet counter, breakfast bar, powder bath, built in office desks, dual vanity and master bath dual vanity. Welcome to our Granite Countertop website, we hope that this site serves as an introduction to our company and a reference tool to assist you in your project. 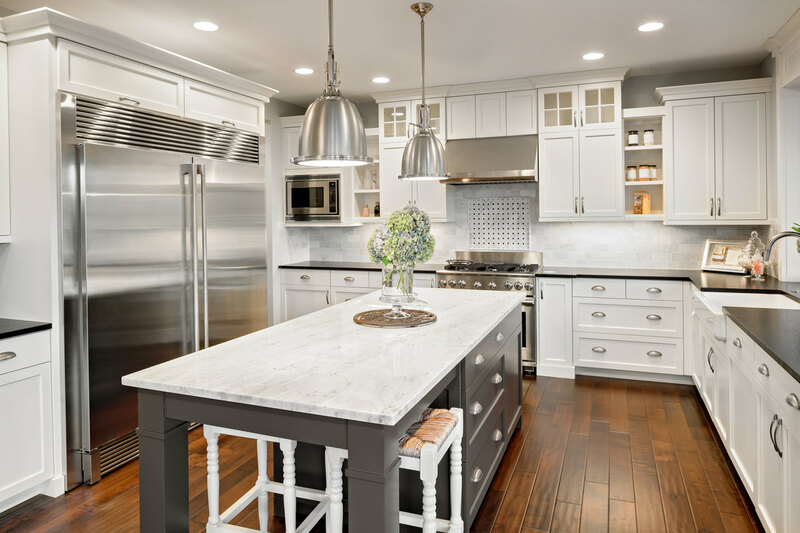 We are a custom granite countertop fabrication shop who fabricates and installs natural stone countertops such as granite, marble, limestone, soapstone, and quartz. Please take some time to read Real Testimonials from home owners that have used our services and have left a review for our company. We know it can be difficult choosing the right contractor, we hope that the reviews below along with our A+ BBB Rating and our Awards we’ve won with Angie’s List “Super Service Award” will guide you in making the best choice! AGS Granite works with all major slab yards in San Antonio & Austin to offer you a City wide selection. some of our favorites are Triton Stone, Pacific Shore Stone, AG&M, and Daltile. If you have already visited a slab yard to pick materials and would like to get pricing on the materials selected, send us a message and give us a call! Send us your plans and we will get back to you with a professional quote. Granite, Marble, Quartz Countertops for Kitchen and baths remodel. Let us help you with your upcoming project we make the process so easy, just set up an in home estimate and we will come to your home and give you an estimate on the spot. We service the Custom Home Building market in the hill country and surrounding areas. If you have a home that you are building please submit your plans and we will get back to you with a proposal for your upcoming Construction.